When it comes to skin care, combining natural ingredients with advanced processing is proving to be the most efficacious approach to modern skin care. Science is now taking a good look at the multiple benefits of phytochemicals and natural elements, finding that with advanced processing, they have the potential to unlock truly beneficial treatment for the most difficult skin conditions. Inflammation can occur in many instances, particularly from environmental aggressors such as free radicals generated from UV light and pollution. Inflammation can lead to a cascade of events within the skin, which can eventually cause skin damage. Pharmaceutical intervention proved to have significant side effects, leading researchers to look for naturally derived ingredients to provide free radical protection. This is where the following ingredients are showing the greatest promise. The ingredients outlined in this article are derived from nature and processed with the newest advances in technology. They are proving to have great potential benefits for treatment of inflammation and the resulting skin conditions such as hypersensitivity and rosacea. Micro silver is used in Europe in the medical field for wound care, root canal fillings and hip implants, but it also found use in skin care, personal care and oral care products. Derived from pure silver powder, micro silver differs from ordinary silver or nano silver powders because it transforms into sponge-like pure silver particles during the manufacturing process. These microscopic “sponges” adhere to the surface of the skin longer than other silver powders, resting in skin folds and releasing pure silver particles over a longer period of time. This makes micro silver effective at eliminating bacteria on the skin. Easily incorporated in cosmetic formulations, micro silver is now used to treat everything from acne to anti-aging, but researchers found it to be particularly effective at reducing inflammation and its subsequent signs of irritation and redness on the skin. In fact, studies found micro silver to improve atopic dermatitis by 57.5% and acne symptoms by 61.3%.1 Because rosacea symptoms are also linked to microbial activity on the skin, micro silver is being incorporated into formulations to treat this formerly stubborn skin malady with significant results. This is a bioflavinoid, a plant pigment giving many fruits, flowers and vegetables their color, including apples, berries, parsley, onions, grapefruit and the grapes found in wine. Flavinoids are antioxidants, scavenging free radicals, which damage cell membranes. Internally, quercetin is used as an antihistamine and anti-inflammatory and there are numerous studies finding its benefit with conditions such as asthma, heart disease, high cholesterol, hypertension, rheumatoid arthritis and even cancer. Applied topically in skin care formulations, quercetin is shown to bolster the skin’s natural antioxidant protective barrier from the destructive nature of UVA radiation. Quercetin is also found to inhibit the formation of MMP-1, an enzyme responsible for the breakdown of collagen in the skin. This is another plant colorant bioflavinoid found in high concentrations in citrus fruits, vegetables, leaves and grains. It is found to help regenerate vitamin C after it neutralizes a free radical, making it a highly effective antioxidant. Like quercetin, rutin inhibits the break down of collagen and is also anti-inflammatory. Studies show rutin may also have particular effectiveness in strengthening blood vessels to prevent varicose veins. These newer ingredients show great potential in combating inflammation and the subsequent challenging conditions such as rosacea and hypersensitive skin. As with all natural ingredients, the key is to implement the latest innovations in processing to derive active extracts, which provide true benefits. 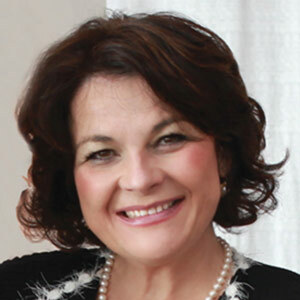 Lydia Sarfati is the president and founder of Repêchage. Sarfati is the honorary chair of Esthetics America-CIDESCO Section U.S.A. and the founding president of the Esthetics Manufacturer and Distributor Alliance.